Please join us for the second annual Ladies Night Out! 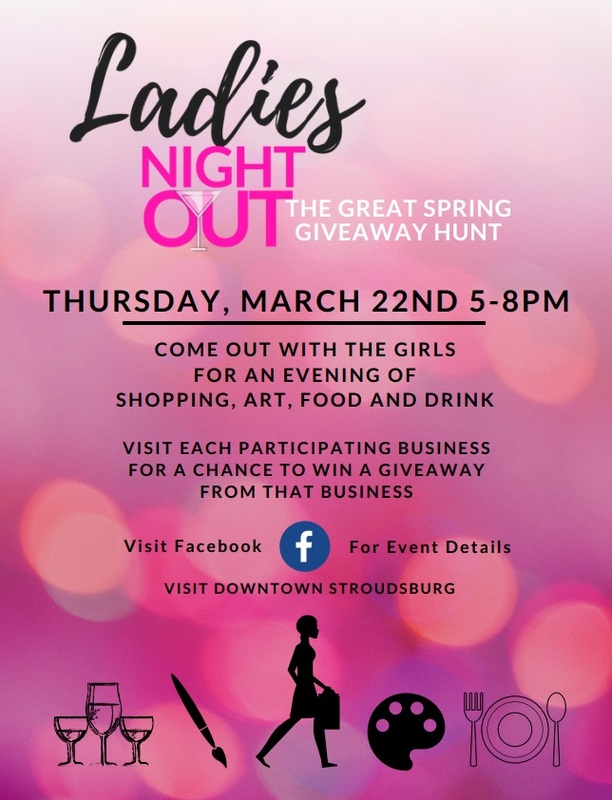 Have a fun night out on the town with your girlfriends in Downtown Stroudsburg! Relax in one of the wonderful wineries or restaurants, then come shopping and enter for a chance to win a piece of jewelry and an Apple Tree Gift Card! Come find your perfect jean with our Parker Smith representative, Lise, and see the jean with the universally flattering fit for all body types. Parker Smith designers have engineered a perfectly fitting and slimming jean. The exceptional fit has been awarded by People StyleWatch as "The Perfect Jean for Your Waist." A celebrity and editorial favorite, with a loyal following of Gigi Hadid, Jennifer Aniston, Cindy Crawford, Anne Hathaway, Tyra Banks & More! Come find your forever jean. Come shop and see what is happening this autumn with our favorite designer, Joseph Ribkoff. Our Joseph Ribkoff representative, Michelle, will be here to assist you in finding the perfect pieces for fall. From rich colors in cocktail dresses to beautiful abstract printed jackets - make this Fall unforgettable. Kimara Ahnert Returns with her Talented Team to Bring Brand New Beauty Tips that Will Transform Your Look. From Brow Shaping and Filling to Skincare Treatment, Come and Join us to See What is Trending in Beauty and Experience the Professional Difference. Meet our Parker Smith Representative, Lise, and come shop our best selling Jean. Designed for a perfect, slimming fit, a mid-to-high rise jean, Parker Smith ensures premium comfort while enhancing all silhouettes. This jean is "the perfect jean for your waist."